OLMSTED’S LOUISVILLE | APRIL 10 – OCTOBER 20, 2019. 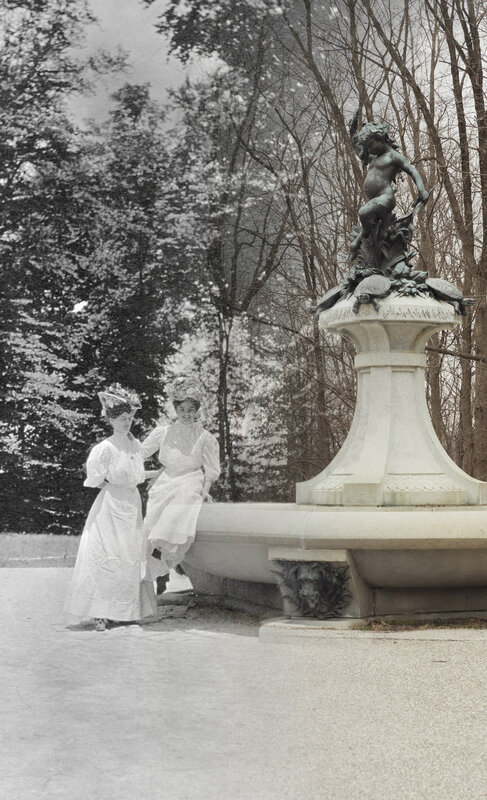 Timed to mark the 30th anniversary of the Olmsted Parks Conservancy, Olmsted’s Louisville explores the legacy of Frederick Law Olmsted, the Father of American Landscape Architecture, in the city of Louisville, home to one of the four completed Olmsted park systems in the world. Featuring historical documents, architectural plans, neighborhood maps, design drawings, portraits, photographs, and interactive content, including nature videos and a listening station, Olmsted’s Louisville celebrates the crowning achievement of Olmsted’s career. When Frederick Law Olmsted was commissioned to design a park system for Louisville in 1891, he was already famous for his work on Central Park in Manhattan, Niagara Falls in New York, and the U.S. Capitol Grounds in Washington, D.C. But his brainchild — his concept of creating a system of parks connected to tree-lined parkways, instead of freestanding parks as was the common practice — would be most fully realized in Louisville. That’s where his firm, under the direction of Olmsted and his sons who followed him, would oversee completion of 18 parks and six parkways. 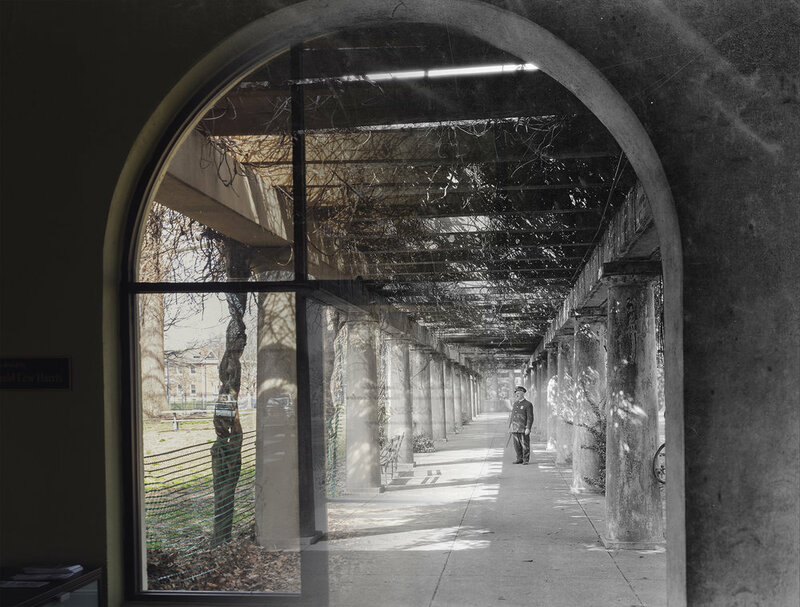 By the mid-20th century, however, the parks of Louisville — which had become such an integral element of the structure of the city — fell into disrepair. The construction of an interstate highway through Cherokee and Seneca Parks in the 1960s caused great disruption. And a Force 5 tornado tore through the city in April 1974, compounding the destruction in the parks, uprooting mature hardwood trees, and destroying the environment so carefully planned by Olmsted. Historic Photograph provided by the University of Louisville Archives and Special Collections, Claude C. Matlack Collection. Concerned citizens in the late 1970s launched a grassroots effort, The Friends of Olmsted Parks, to call attention to the declining state of the parks, a beloved public resource. After reviewing a report on park conditions prepared by the Friends, Mayor Jerry Abramson established a task force which, in 1989, recommended the creation of Louisville’s Olmsted Park’s Conservancy, a non-profit whose mission is to protect and restore the city’s parks and parkways. Did you know that the Frazier Museum and the Olmsted Parks Conservancy were born in the wake of the same tornado? On April 3, 1974, an 1820s Kentucky long rifle — a family heirloom that belonged to Louisville businessman Owsley Brown Frazier, made for his great-great-grandfather and gifted to him by his grandfather — vanished when the twister that carved a path through the Olmsted parks and parkways also destroyed Frazier’s East Louisville home. Although Frazier would never find the rifle again, his search for it would spark a passion for collecting antique weapons — a passion that would ultimately inspire him to found the Frazier Historical Arms Museum, now called the Frazier History Museum, in 2004. So 2019 marks a triple anniversary: 15 years since the Frazier Museum opened, 30 years since the Olmsted Parks Conservancy was formed — and 45 years since the tornado touched down and gave rise to them both.